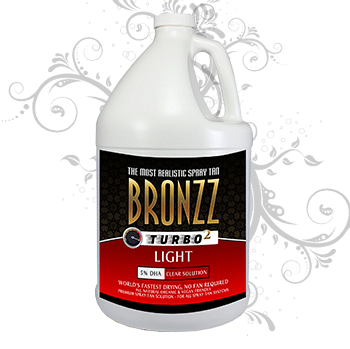 Using the latest sunless technology, Bronzz Products has created the Bronzz Canned Tan. This aerosol can contains the same superior Bronzz airbrush tanning solution found at your local salon. This UV free tanning product provides an even, streak free tan in the privacy of your own home. Whether used for touch-ups or for full body tans in between salon visits, Bronzz Canned Tan sunless tanning spray will give you a gorgeous golden tan even when you can not make it to the salon. The world’s best spray tan in a can is back in stock! 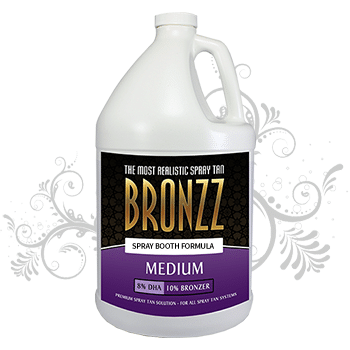 If you are looking for the most realistic spray tan in a can option, Bronzz has it! Looking for that airbrush tan look without the hassle of hitting the salon, or perhaps you want to “touch up” a spray tan you had at the salon recently? Bronzz will give you that “sun-kissed” free spray tan look without the hassle of going to the salon, and making an appointment! Bronzz is composed of a proprietary cosmetic bronzer as well as organic, sugar-based DHA. Bronzz Tan in a can goes on fast and easy, with a micro mist for even coverage. With fast-dry technology, Bronzz is fast drying, leaving no need for fans or blow dryers after application! Use the spray tan in a tub, shower, outdoor area or anywhere with any easy to clean floor. Hold the can 4-6 inches from your skin and apply in smooth even strokes. Dab off any excess spots or clumps before it dries, usually, this is not necessary once you are used to the application. Most people just use a fan or blow dryer to speed up the drying process. Do NOT apply lotions, oils, deodorants, makeup, or perfume prior to spray tanning. If solution gets on the palms of your hands or soles of your feet immediately wash off with soap and water. Do not shower for 4-6 hours after application.